Ah well, it's the German watch industry holidays and a manufacturing policy of "We'll do what we want when we feel like doing it". Still hoping they will make those darn dials fast now!!! Eddie, don't you allready have a pre-production model you can show us??? I did have a pre-production version Bernard but it didn't have the "No-Radiations" dial and I've returned it for the new dial to be fitted (when it arrives :evil: ). I only hope it will come before my birthday which is the 29th of October (I'm trying to be patient but like most of you, I'm looking at the forum at least once a day :wink: ). Do you have pictures of that pre-prod. version? Aren't the original pics from Eddie at the top of the thread? Perhaps I can stop checking every hour and get some work done then. This is cool - I was convinced that it was not going to have the 'No Radiation' dial - very pleased that it will have!!! Because everybody wants something different, I've decided to go with the Domino Pizza logo, just like Rolex. The father of a good friend of mine had one of those given to him as a gift by Domino's for the performance of his franchises. Wandering about the forum this evening killing time while waiting for my daughter's next feed (must go and put the bottle on to heat up after I finish typing this) and I realised how much I was looking forward to this one! Just spent some time reading the relevant threads and following up on the pictures of 50Fathoms. Glad to have made it onto the LE list! ... Glad to have made it onto the LE list! Haven't posted too much about HOW BAD(!!!!) 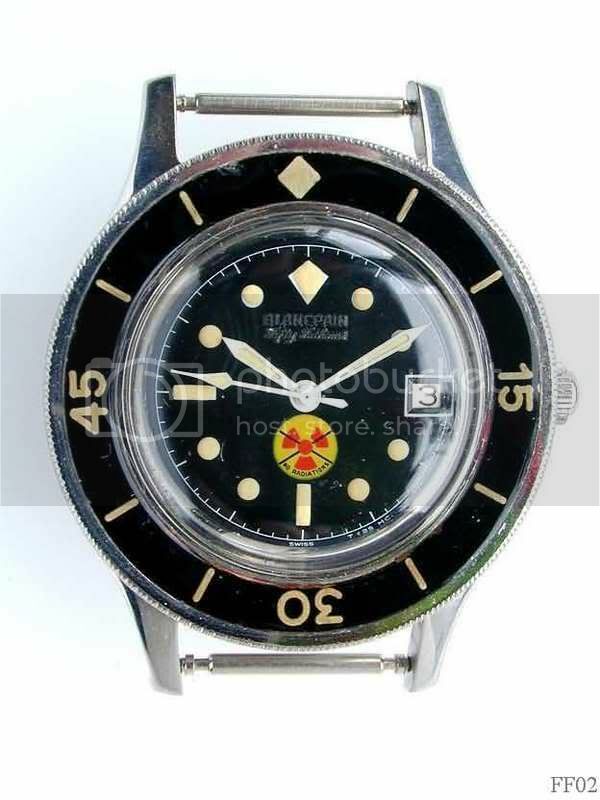 I want one on these watches, but have been following this thread regularly...and, if i have read correctly, now that Dean in Canuckistan( God I love that name being a pure blooded "hoser" myself) is on the confirmed list....this means that, assuming the back up list on page 6 of this thread is correct, I'm next in line!!! It's never gonna happen, I just don't have that kind of luck!!! loving the suspense in the meantime!!! I'm not trying to stir anything up or "wind" you up but what's the allure of this LE watch? If you're willing to wait, are willing to go without due to there being insufficient demand to produce the non-limited edition, and could care less about the movement and the fact that you one one of 100, you would be just as well off not being on the list. 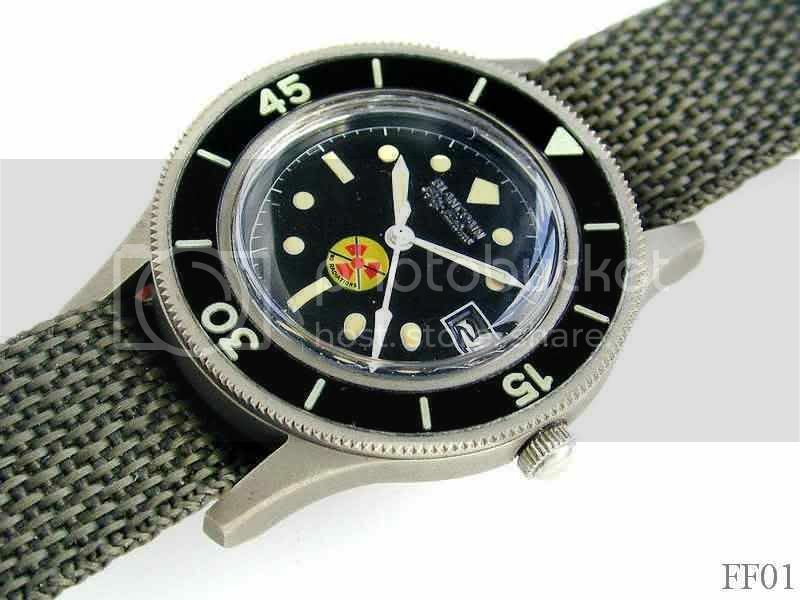 Several movements were fitted throughout the years but the AS2063 was fitted to those produced in 1975. The Rolex Submariner was made after the FF, the FF heavily influenced the design of the Submariner. 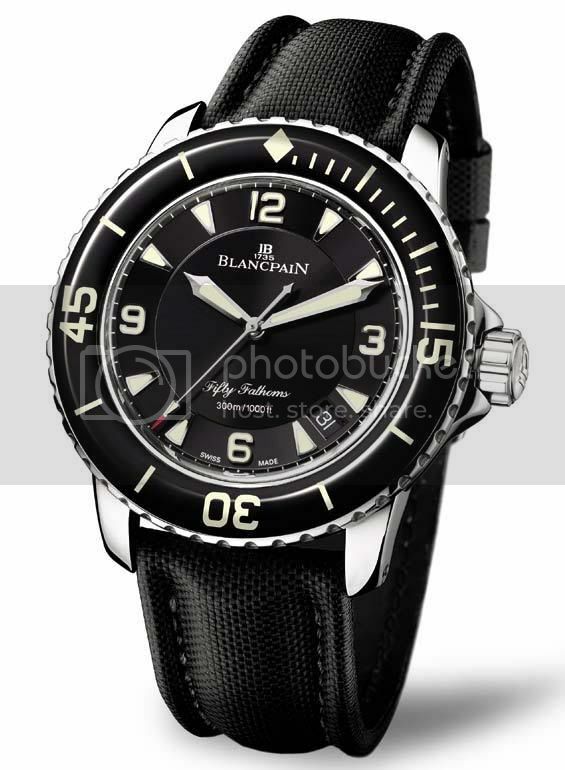 Hence, this is the forerunner of the dive watch as we know it nowadays. I'd say that's pushing it a bit. Both watches were developed around the same time, but the BP50 was first to market. You'd think I'd remember that, being on the list and all. I suppose the German holidays are over by now? I hope they'll finish those dials one of these days! I only know what they tell me and I'm certain that what they tell me is whatever they think will get me off their backs for a week or two, not necessarily what's happening. I chased up the dial yesterday and have to own up to getting a bit rattled on the telephone Getting information is like drawing teeth but finally I think I got some truth. When I specified the dial, I asked for "aged lume", which I thought would go well with the watch. They agreed that it was possible and nobody said it would be a problem. WRONG! The aged lume from Luminova has to be prepared by hand and costs US$4500 per 100 grammes. They didn't buy it and embarked on a (fruitless) search for another supplier but never mentioned anything to me. So here we are, 3 months late and only now do I discover that aged lume is a problem. The dial will now have Super Luminova C3 and should be here PDQ. ARRRRRRGGGH. I hate suppliers why can't they tell you facts as soon as they know? Drives me crazy. Shame about the aged lume, though. Aged lume would have been good, but if it speeds things up then standard/new is fine by me. Ah, good old German efficiency, applied to giving the customer what they want. just how long is "PDQ" in fricker time? Is that like you wife saying "I will be ready to go in 5 minutes" and you end up being able to watch an entire half of football? My Wife and Daughter told me on Saterday that they were going into a department store (Kohls) to pick up a couple of pairs of socks. Well I hate shopping so I waited in the car. They couldn't understand why I was "cranky" when they came out of the store two hours later empty handed. ...My Wife and Daughter told me on Saterday that they were going into a department store (Kohls) to pick up a couple of pairs of socks. Well I hate shopping so I waited in the car. They couldn't understand why I was "cranky" when they came out of the store two hours later empty handed. I am very fortunate in life to have a beautiful wife who gets ready quickly and who shops efficiently without wasting time. My mother does neither so I have some idea of what it can be like otherwise. The watch should be ready in 4 weeks. Eddie, that looks spot on! Very happy to be on the LE list! Now, 4 weeks is just after my birthday and just before my next bonus is paid, so it's all coming together nicely. Any ballpark figures on cost as yet, or is it still dependent on final invoice from Fricker?